The color and smell is typical of the style except for a light floral and sweet scent almost reminiscent of their Grassroots Ale. When the brew hits the tongue, you get a malt taste that is not so common in the style. The Wright Pils is well balanced but still has that pilsner fizziness that you'd expect. This medium bodied brew leaves you with a finish that thirsts you for more. Enjoy the poem sir. 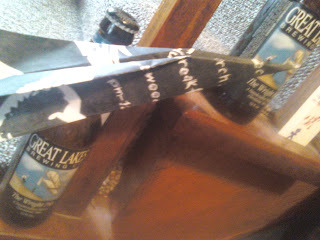 We are big fans of GLBC.